CAMDEN, N.J., March 18, 2019 /3BL Media/ Subaru of America, Inc. today announced it will be hosting a pet adoption event during the 2019 Atlanta International Auto Show through a partnership with local animal shelter, Royal Animal Refuge. The 501(c)3 non-profit organization is dedicated to promoting animal welfare and responsible pet ownership, while finding homes for unwanted pets. This first-of-its-kind event, which will take place at the Subaru exhibit inside the Georgia World Congress Center, is aimed at finding permanent homes for pets in metro Atlanta. Auto show attendees who visit the exhibit will have the opportunity to adopt and take home a dog or puppy. Attendees are also encouraged to make rope toys as a donation to the shelter or for their own pet, as well as create custom pet tags using the Subaru Loves Pets engraver. All activities at the Subaru booth will be complimentary, with donations and proceeds benefiting Royal Animal Refuge’s work in metro Atlanta. All adopters are subject to normal Royal Animal Refuge adoption guidelines and procedures. Prospective adopters should submit an application online or be prepared to do so on-site, and also bring photo ID. To learn more about the adoption process, visit RoyalAnimalRefuge.org. 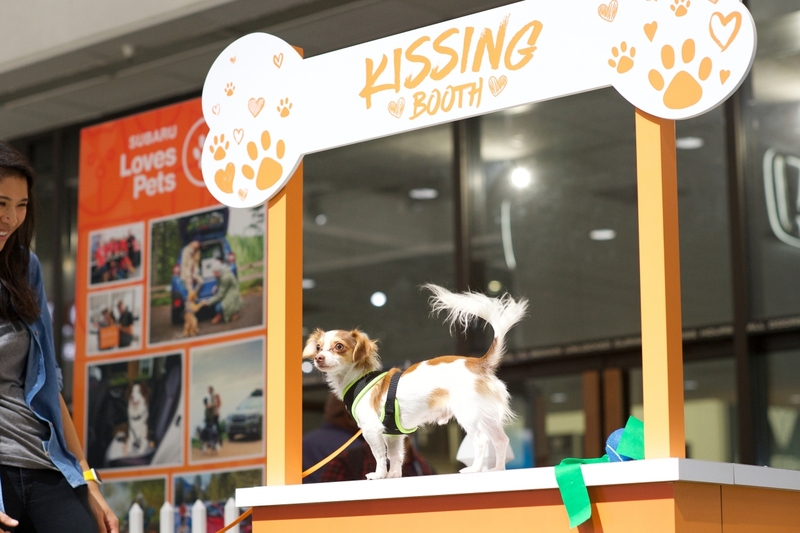 This Atlanta International Auto Show adoption event is a part of the Subaru Loves Pets initiative, which is dedicated to helping improve the safety and well-being of animals in communities nationwide. The automaker’s commitment to pets is one part of its Love Promise philanthropic platform. For more information about Subaru Loves Pets, please visit www.subaru.com/pets. Established in 2017, Royal Animal Refuge is a 501c3 non-profit, volunteer-based organization dedicated to the rescue of dogs from high-kill shelters in Georgia. Operating in a physical location in Peachtree City and partnering with a network of foster homes in the South Metro Atlanta area, Royal has rescued over 1,000 lives since its grand opening in the fall of 2017. Visit RoyalAnimalRefuge.org to learn more.